Polish and Charms: I'm Not Lion with a little stamping! I'm Not Lion with a little stamping! Hello! I have a fun post to share today! I wanted to do a little pre Halloween stamping. I used Sally Hansen Golden-I and one coat of China Glaze I'm Not Lion. After that dried I stamped with Bundle Monster plate 316. I then did accent nail stamping with Bundle Monster plate 211. I don't know why it did this, but it looks like I stamped with the accent skull first rather than the lines. I still like the way this turned out! 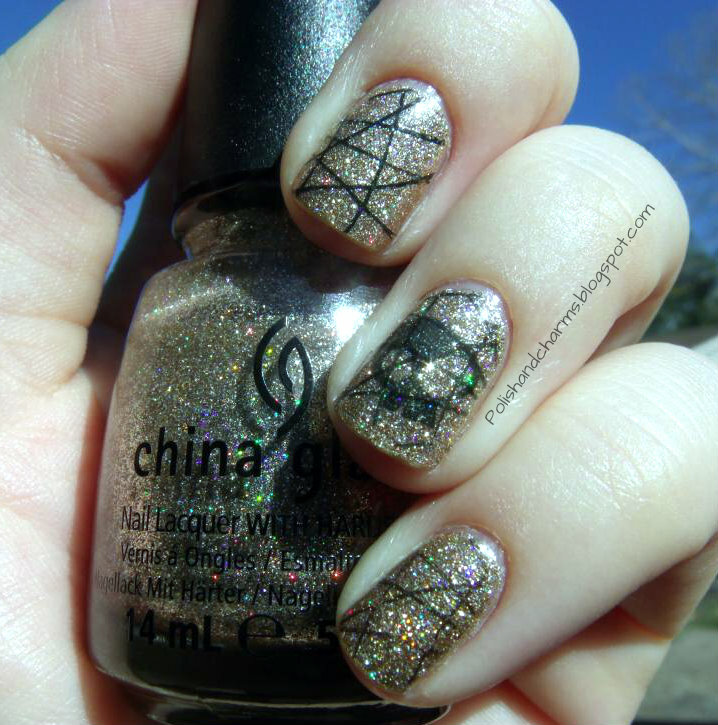 I adore this China Glaze glitter, it's just gorgeous! Be prepared for quite a few photos! Enjoy! That's nice! I didn't know you were so good with the stamping! I love the way the skull turned out! This turned out great! I think I might have to get I'm Not a Lion! Aah, so cute, and I love it over the glitter! And I really love your new layout too--it looks awesome!! 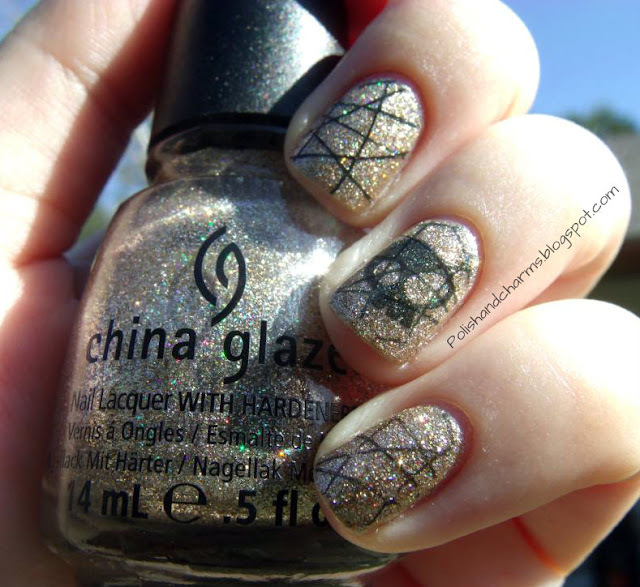 Ooh love this polish and the stamping! Very cool Meredith!! I love I'm Not Lion so much! It is perfect! that skull stamp is awesome!!! Very pretty. I like the combination of stamping designs you used. Cute!! 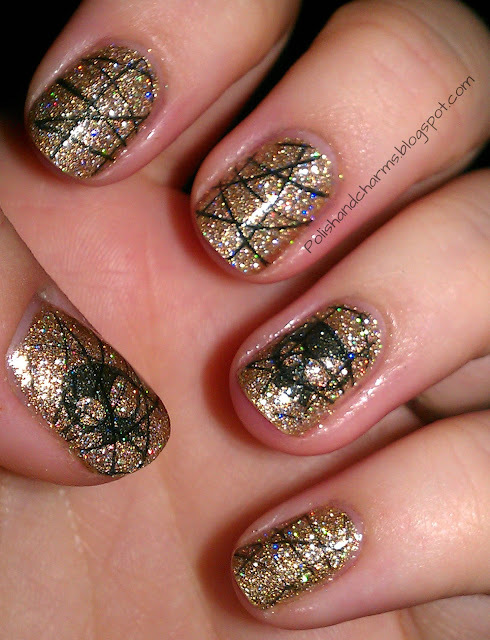 I love that glitter! This really is awesome! I love it! Me too, It's one of my new favorites! Thank you so much Thalie!